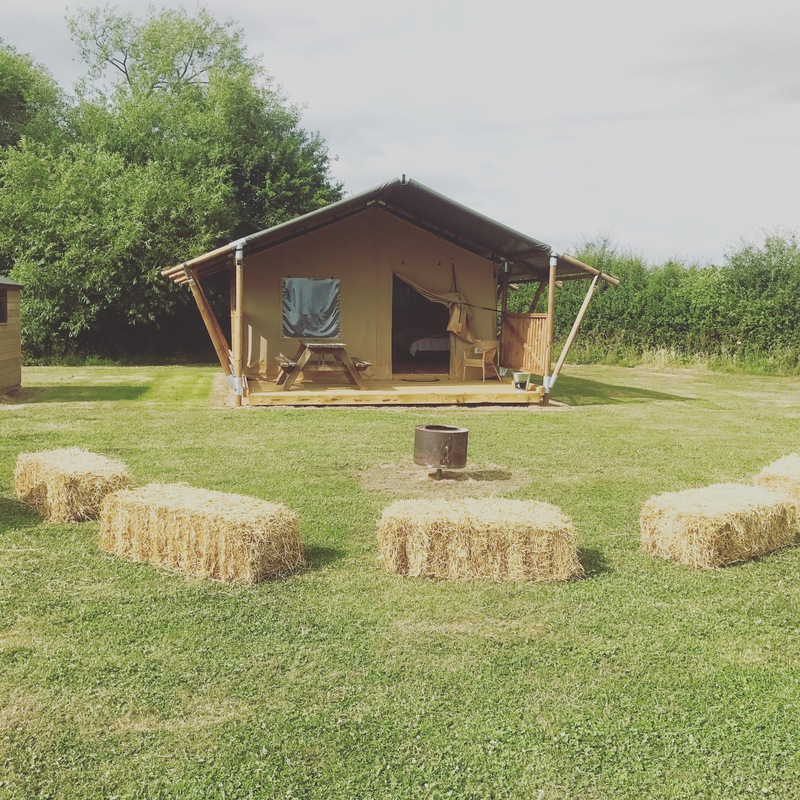 This year we decided to change over from Bell Tents to Safari Tents,so we spoke to the good people at Clear Sky safari and lo and behold we had ten safari tents up an erected! So why change? Well, the Bell tents were lovely, they were cute and pretty and quite spacious for a tent, however we had a few problems with them. Firstly because of the pitched sides we could only stand upright in the centre of the tent, so whenever we changed the bedding on the air beds at the side of the double bed, we had to kneel squat, or bend, and as we are not getting any younger it was quite hard work! Secondly at the end of the season the Bell tents had to come down which involves taking out furniture, beds, and duvets and put them all back in again at the start of the next season, safari tents can stay up saving a lot of time, and most probably my marriage! Thirdly they have a wooden floor which is much easier to clean, and covered decking which is great for when there is the occasional rain shower. 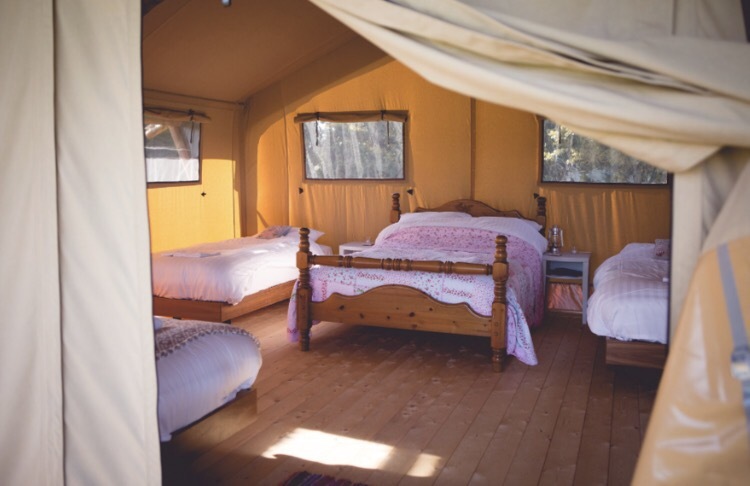 So Bell tents, we had a brief affair, but Safari Tents are a match made in heaven!